Observatories are places from where one can keep a track of stars, planets and other objects in space. 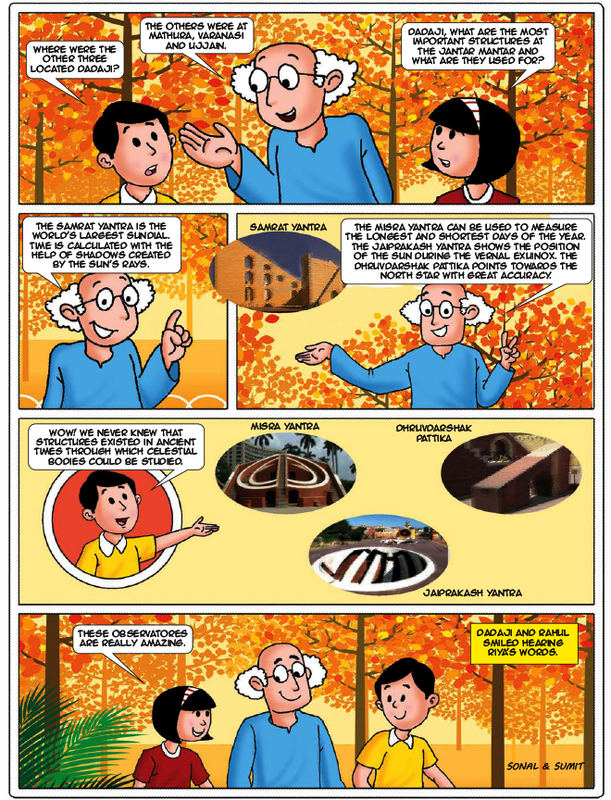 did you know that the Jantar Mantar is an observatory? It can tell the time too. 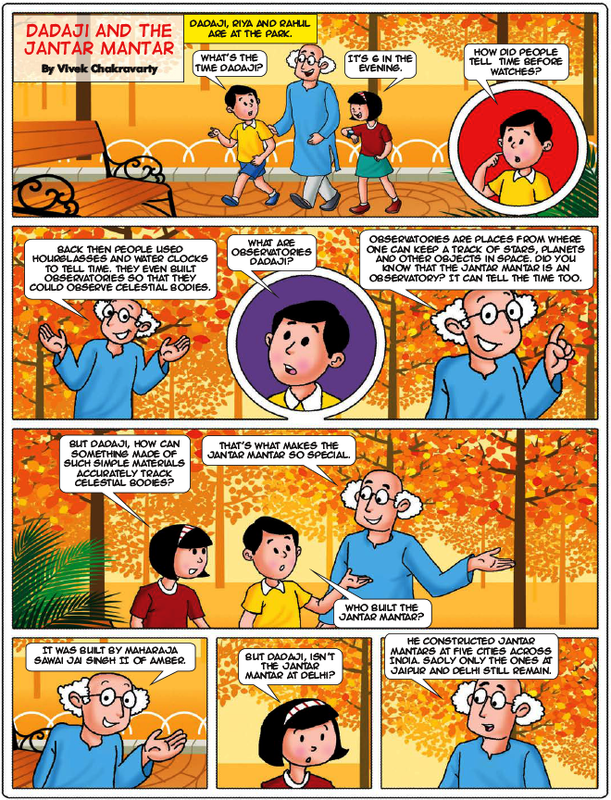 Riya and Rahul were playing at the park as Dadaji watched them from the park bench. Charlie Chaplin was known for his hilarious performances in the silent era. He made movies with talking characters too. Gender stereotypes are assumptions about men and women based purely on their gender. the assumptions could be about their abilities, roles, and personalities.